New Pin Trader Delight sundae pins are available at Disney Studio Store Hollywood (DSSH) as of August 9, 2018. Finally! 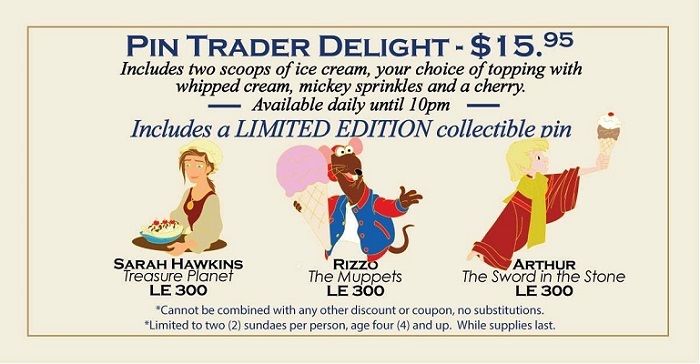 Another Treasure Planet Pin Trader’s Delight pin has been produced and released to the public! However, there’s still more characters from the movie that deserve to be featured, like Captain Amelia, Dr. Doppler, and John Silver!